Tostones are crispy, hash brown-like rounds that are made from green plantains, which are picked at the peak of perfection, and then sliced and fried twice to create a crispy, golden toston round. Unlike yellow plantains, green plantains are much starchier and not as sweet the ripe plantains used to make maduros. A staple in many Latin American and Caribbean cuisines, tostones feature a crunchy exterior, and a soft inside that can be served with a variety of toppings, or as a savory side dish to any meat or seafood recipe. The key difference and what distinguishes a traditional toston from a Hawaiian toston is the type of plantain being used. While there are over 100 species of plantain, today we will be covering two types: Horn and Hawaiian. Our traditional tostones come from Horn Plantains or Platano Cuerno. These are considered “true” plantains, which make 21% of annual Musa production worldwide, and are the greatest source of dietary carbohydrates in Latin American and West African regions. This plantain subgroup is characterized by long, curved, very starchy bananas. Some particularly large horn plantains are the size and shape of bull horns, hence their name. Hawaiian plantains, on the other hand, are softer, shorter and fatter than traditional plantains. They cook tender and remain soft and fresh through time. They are also much easier to peel. These plantains are generally grown in Hawaii, Southern United States, the Caribbean, Central America and South America. 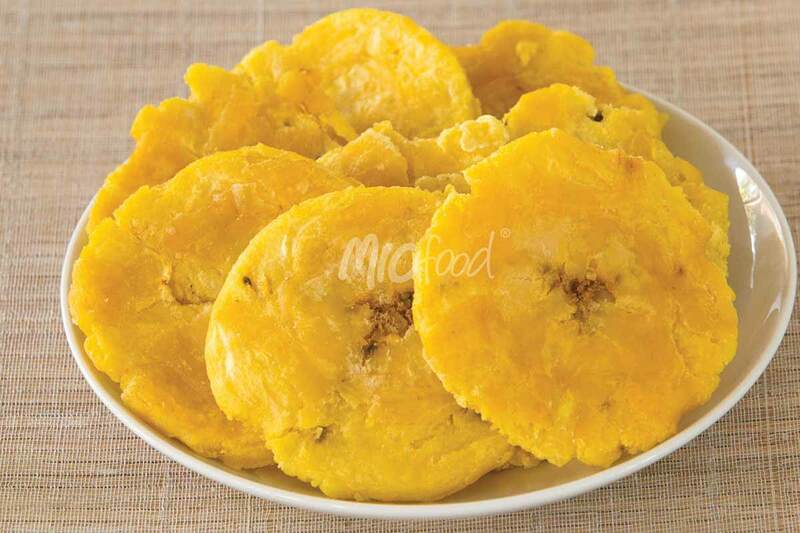 No matter what type of plantain you choose to make your tostones, you can count on MIC Food® for all your tropical food needs. Here at MIC Food® we are helping chefs, restaurants, industrial kitchens, retail brands, delis, and others in the food industry rethink their menus and increase appeal among ethnic and mainstream consumers alike. We provide variety of plantain products that come peeled and cut, ready-to-heat and serve, saving you hours of prep time so you can focus on what matters the most: making every meal memorable.